The Gorkha Janmukti Morcha today developed major cracks that even threatens a dilution of their demand for a separate state of Gorkhaland as senior MLA from Kalimpong Harka Bahadur Chhetri today said that he was quite dissatisfied with the activities of the leadership and he was going to quit the party. He also said that the demand for Gorkhaland comes only if primary concerns of the Gorkha people like infrastructure, health care, education, water etc are not met and the people remain deprived. In an exclusive interview to Echo of India from Kalimpong Chhetri, who met chief minister Mamata Banerjee at Kalimpong day before yesterday, also said that the developmental programmes initiated by the chief minister, would bring in good results if they were implemented in right earnest. ``The Gorkhaland issue is a complex one. It's about a separate identity for Gorkhas. So far as I am concerned there are two issues, short-term and long-term. First we will have to see whether our key concerns, health care, education, infrastructure, drinking water, are met. They are short-term issues. If they are not, we will have go deep into the cause of dissatisfaction of the people. And if they are not met even then the issue of Gorkhaland may come. But the thing is, by going into confrontation with the state government, by taking to the path of agitation, you will suffer, you will be broken into pieces,'' the suave and articulate Kalimpong MLA said. He also said that he has almost taken a decision to quit the party. ``I have more or less decided that I will quit the party. It has failed to meet the aspirations of the people. I may quit politics altogether. But I will take all these calls later,'' Chhetri said. He also launched an attack on party chief and Gorkha Territorial Administration (GTA) chief Bimal Gurung saying that he was surrounded by people with vested interests. ``Bimal Gurung is a simple man but he is surrounded by self-seekers. It has eaten into our party,'' Chhetri said. Incidentally yesterday the GTA chief said that Chhteri was very much with the party and he would obey all party decisions. 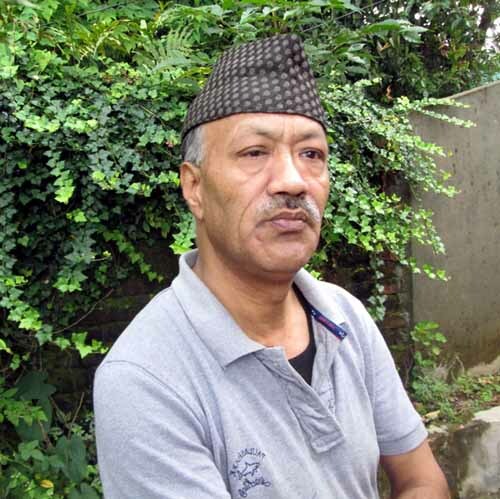 major cracks that even threatens a dilution of their demand for a separate state of Gorkhaland as senior MLA from Kalimpong Harka Bahadur Chhetri today said that he was quite dissatisfied with the activities of the leadership and he was going to quit the party.